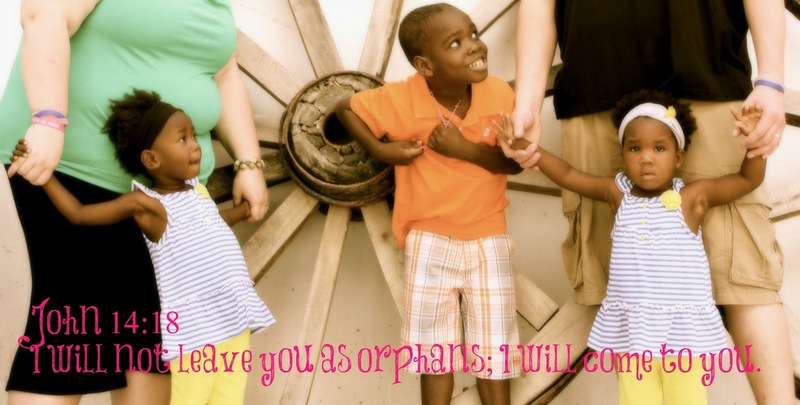 A little over 8 years ago God laid on our hearts that we were to add to our family through adoption. This wasn’t something we said yes to right away we really had to pray about this and ask god if he was really sure. Well shortly after the earthquake in January 2010 in Haiti we knew exactly what God wanted us to do. So we began the process right away not being old enough by the current Haitian adoption law but we knew God was leading us to Haiti so we pressed on. Below is a log of our adoption process so far. Its for sure been a bumpy ride but we know God is with us! Sure we want our kids home now but we also know that Gods timing is perfect far better then we could ever imagine! Officially committed to adopting Sophia from HIS Home For Children. Switched agencies for our Home Study to get the approval of 3 kids. Home Study finally Completed and picked up! Exited Court ~ Kids are legally ours in Haiti they officially have our last name! Once all 3 kids interviews were done we were told that we had not completed a full and final Haitian adoption and we have been waiting since August 11 for this issue to be fixed. However days before our file was stopped children were able to go home with the same type of adoption and paperwork that we have. September 19th 2015 Zach and I boarded a plane leaving everything from home behind our children family jobs everything and we came to Haiti to get answers and fight for these children who are legally ours and who we have loved for the past 5 years. Our time in Haiti wow was it ruff I don’t even know where to begin! We were in Haiti for a total of 3 months. Three of the longest months ever. But when we came home our kids also came home on December 15, 2015 we all came home!